The Taberna del Alabardero is presenting their new pairing menu and I was lucky to be invited to the preview today. 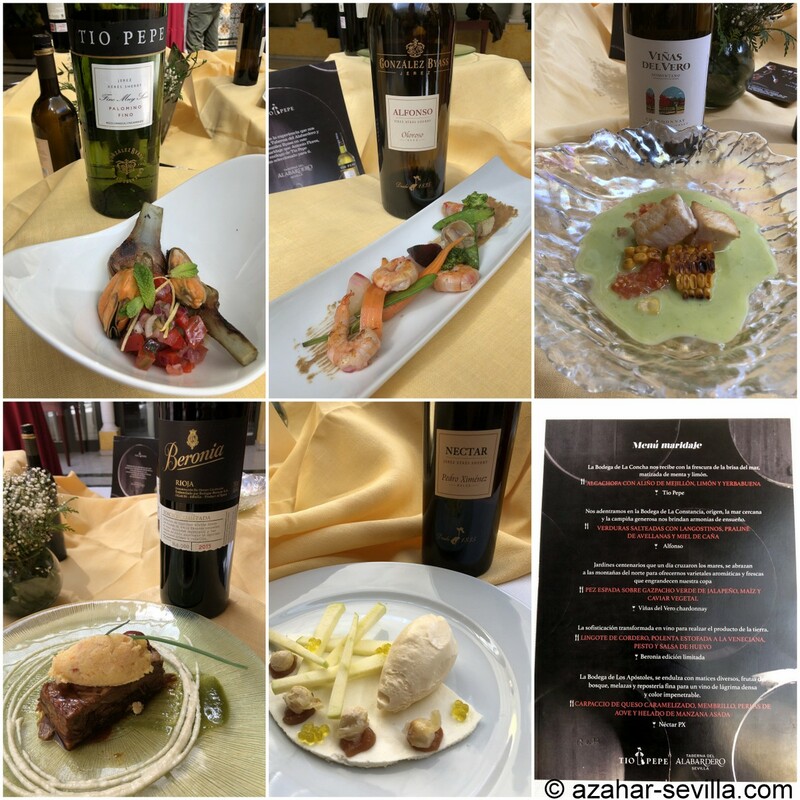 The food was prepared by chef Carlos Mitchell with wines provided by Bodegas Gonzales Byass, and master wine blender Antonio Flores was on hand to add his special poetic touch to the presentation. Food was delicious, wines were lovely and at 35 euros (five courses including wines! ), this tasting menu can’t be beat. If you’re in Sevilla be sure to check it out from March 20th to April 14th. I mean what could be better than an evening hosted by 12 jamón ibérico de bellota producers and 14 wineries, along with some fabulous cheeses? Well NOTHING much that I can think of. I think this is an annual event, though the last time I went was in 2016. It was great catching up with friends while sampling some amazing jamón and terrific wines. In fact, after a few of these wines my pal Esteban (Vermutería Yo Soy Tu Padre) even convinced me into taking a selfie with him. I’ve had worse Mondays! 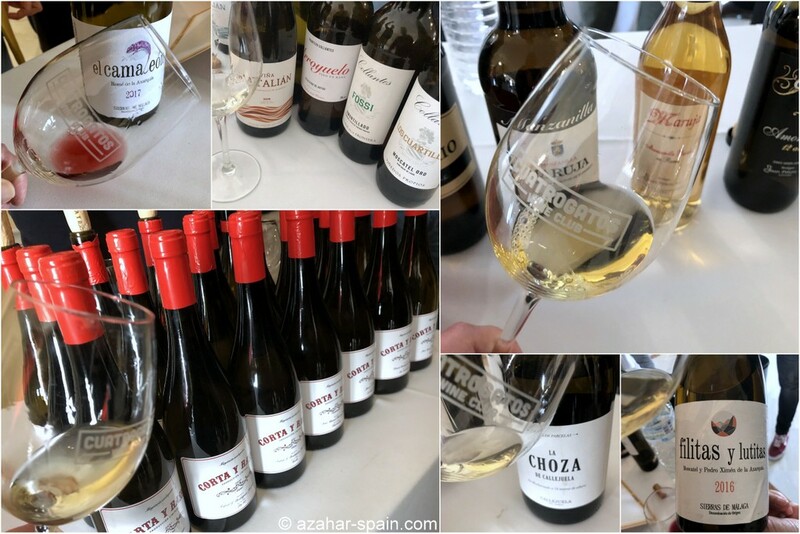 Another day, another tasting… this time a “visit” to Extremadura thanks to Taberna del Alabardero and the various food and wine producers from this neighbouring region, on the north-west border of Andalucía. As always at these events, there were simply too many wines to try them all, but I did find a couple of new ones that were exceptional. 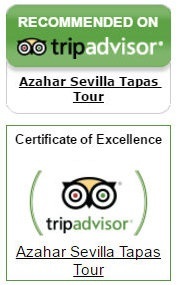 More soon on Azahar Sevilla. The fourth edition of the CuatroGatos Wine Festival was quite different from last year’s event. 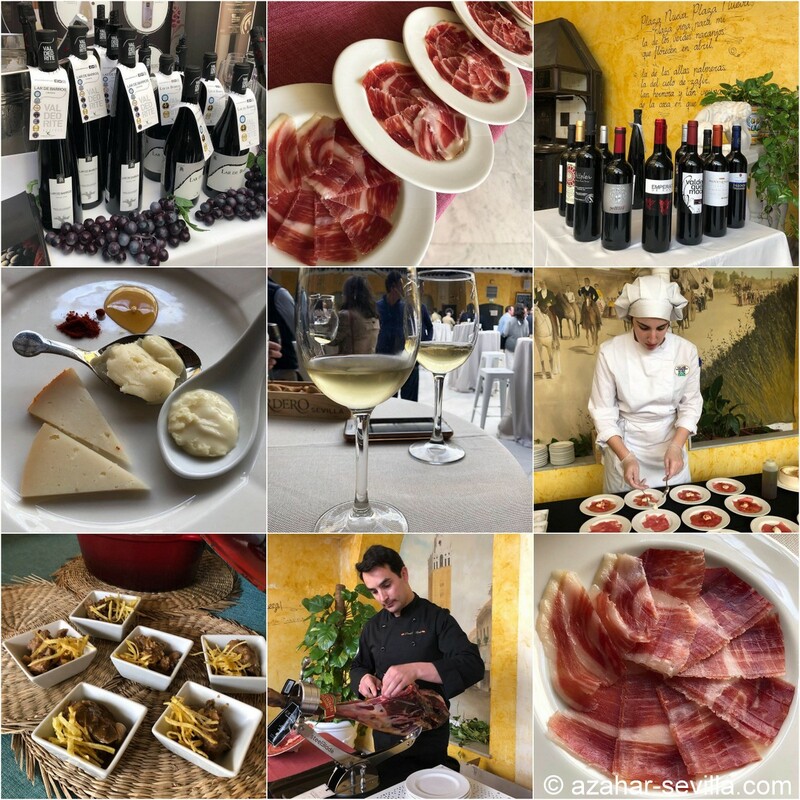 This time it was held inside a lovely hacienda on the outskirts of El Puerto de Santa María and there was also the promise of a special dish prepared by Michelin star chef Ángel León. I met my friend Tomoko @Fu_yan at the train station and, having just missed the Wine Bus, got a taxi over. Although there were a lot more food options this year, with several stands set up on the patio, Tomoko and I decided to walk over to Restaurante El Faro so we could sit down for awhile and, frankly, have a nicer lunch. 😉 Which you can see, we did indeed have. The only thing was that by the time we got back to the event, several of the producers were already packing up (!!). Since they were offering another Wine Bus back to the train station around 8 pm we assumed that the producers were going to stay around longer. Oh well. It was still a fabulous day and great to hang out with Tomoko again.